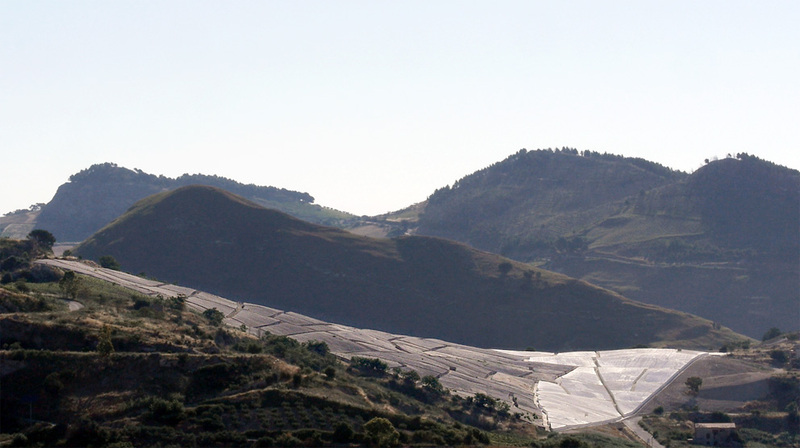 The “Grande Cretto di Gibellina“ in Sicily: Alberto Burri worked on his project until 1989 – then his financial funds ran out. Irrespective of whether he uses fired clay, metal or coarse sackcloth, it is the striking “cracks” that typify Alberto Burri’s pieces in his “Cretti” series. The Italian painter is forever transforming his canvases into tactile surfaces reminiscent of cleft and at times somber landscapes. For Alberto Burri (1915 to 1995), who as a military doctor treated many injured soldiers during World War II, the horrors of the past were a source of artistic inspiration but also a means to tussle with the trauma of war. His abstract paintings, material collages and sculptures tame the destructive force that he brought to bear in the creative processes, while in the so-called “Cretti” gaping like an open wound. In 1984, Burri started transforming the collective trauma of a natural disaster in Sicily into an artwork in order to create a monument to the destroyed town of Gibellina. The “Cretto di Burri” or “Grande Cretto di Gibellina” is an environment consisting of man-high irregularly shaped blocks of cement that cover an area of no less than about 55,000 square meters, like a labyrinth of narrow alleys it brings to mind the ruptured earth that in 1968 almost completely destroyed the small 14th-century hill-top town in the Belice valley. The disaster claimed the lives of 390 people and left 70,000 homeless. Der Senator Ludovico Corrao decided not to have Gibellina rebuilt and instead had a new town erected nine kilometers away, to which renowned artists and architects such as Rob Krier, Oswald Mathias Ungers and Joseph Beuys donated countless artworks and sculptures to symbolize “a hopeful new beginning”. 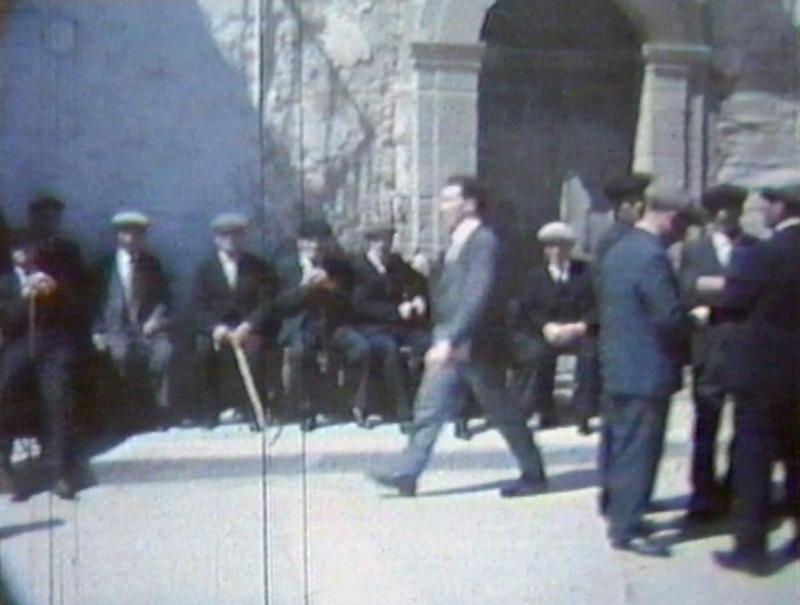 Alberto Burri too took up the invitation, but was more interested in memorializing the old town, “Gibellina Vecchia”. He had its ruins cast in a surface of white cement covered in narrow tracks – along them visitors can explore the memorial and the town can be re-lived in the mind. 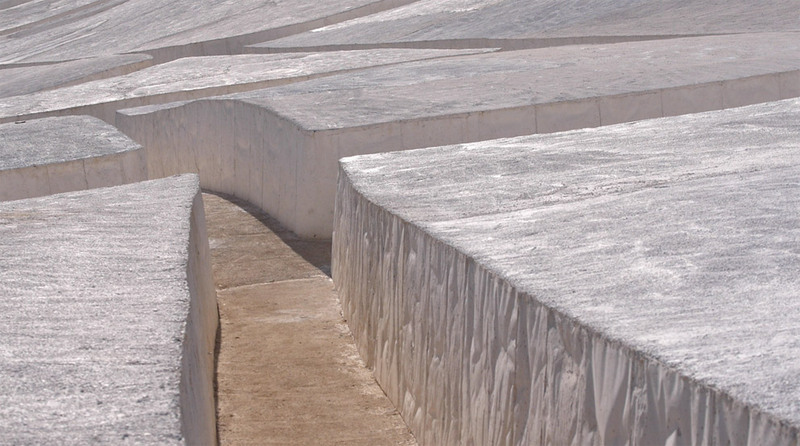 Burri’s “Grande Cretto”, which was eventually completed posthumously at the end of last year, immortalizes the rupture that the earthquake left forever in the countryside and in the lives of the people of Gibellina. 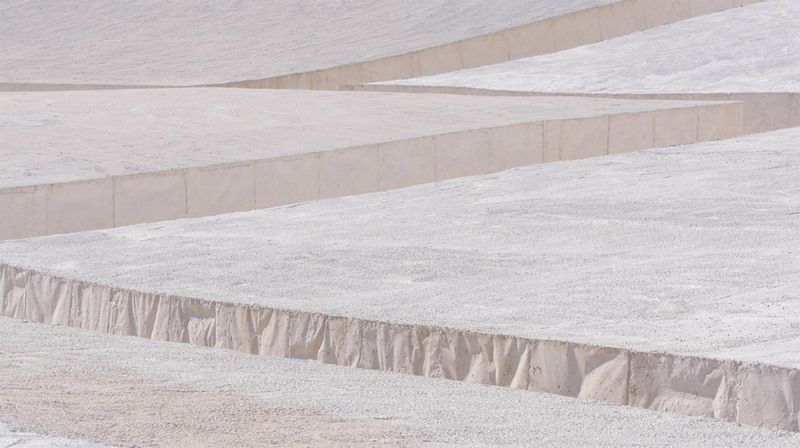 The Italian artist enclosed the ruins of the city in white concrete – devoured pathways between the five-foot blocks are reminding of the original streets of Gibellina. The idyllic hilltop town was destroyed in 1968 by the earthquake in Belize. 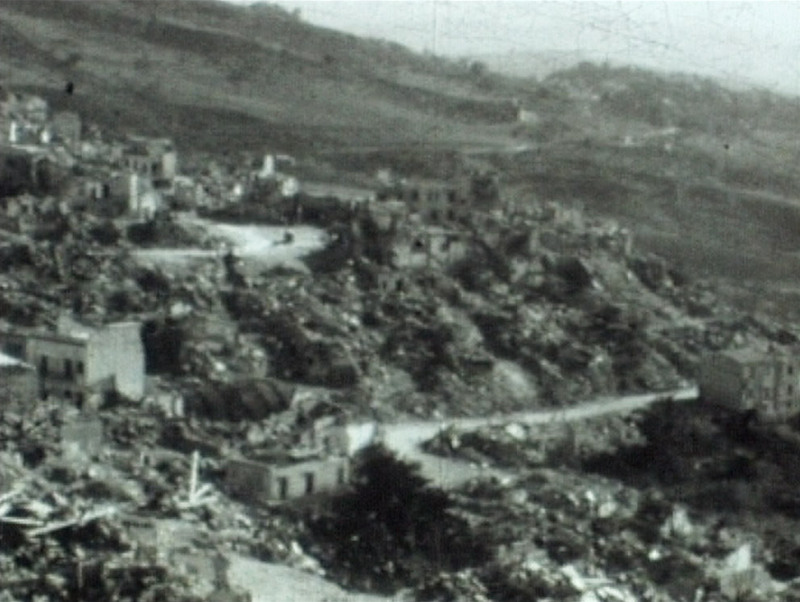 Most of the survivors did never accept the new Gibellina – a town “drawed-board” by several architects. 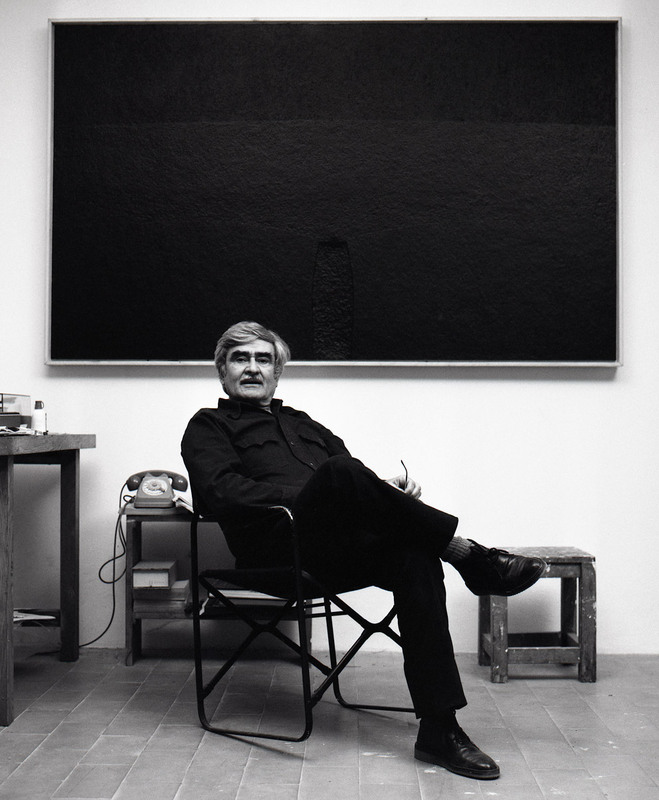 Alberto Burri 1982 in his studio in Case Nove di Morra, Città di Castello, Italy. The artist was one of the most important representative of the material experimental abstractions after the Second World War.